Did you know consumers pay an average of €50-€75 on motor premiums alone as a result of fraud? At Insuremyvan.ie we are committed to preventing any and all fraudulent activities. 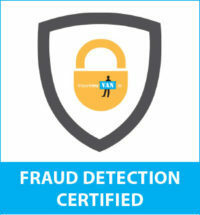 All Insuremyvan.ie agents are fully trained in insurance fraud detection. We are committed to protecting consumers from the costs associated with insurance fraud. All of our staff undergoes a fraud detection training programme that allows them to recognise indicators of possible fraudulent cases. Each call we receive is treated with the utmost importance and our staff are adept at isolating those cases that merit closer scrutiny. Possible fraudulent calls are dealt with in the correct procedural manner. Some people consider insurance a victimless crime and think of it as a small drop in the ocean for insurers. The reality is very different. Insurance fraud costs insurers €200 million in Ireland alone, these costs are then felt by the consumers. All of our staff undergoes an externally accredited fraud detection training programme that allows them to recognise indicators of possible fraudulent cases. If you become aware of insurance fraud, contact Insurance Confidential to report it. You can anonymously report fraud and help keep your insurance premiums from going up.